Peer: Any individual living with mental health, behavioral health or related emotional challenges. Those who receive formal services, those on an alternate path to wellness (such as 12 step or spiritual approaches), and those who are “yet to be connected” due to a lack of awareness or access to recovery-oriented beliefs and approaches. 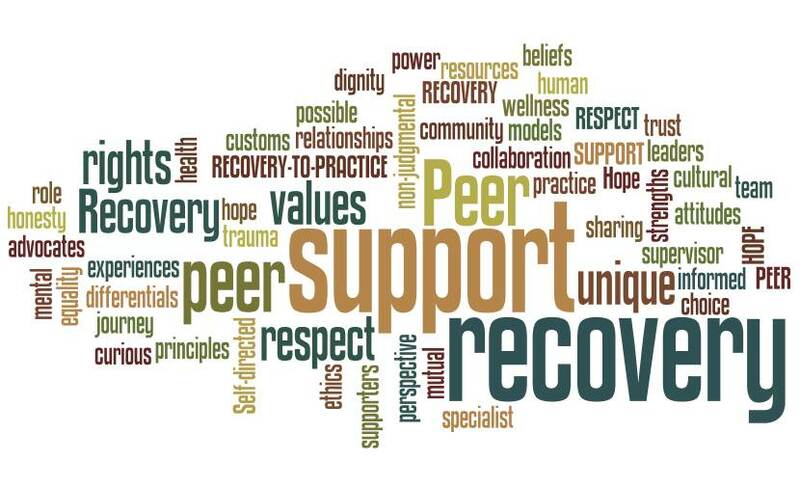 Peer Specialist (or Peer Support Service Provider): Any individual living in recovery with a mental health or substance misuse condition who provides support services (usually in a formal setting) as a person with lived experience to people who can benefit from their lived experiences. Peer Specialist Certification: The term “peer specialist” is an umbrella concept used to describe different titles, roles, and responsibilities as peer bridgers, peer coaches, peer specialists, peer advocates, peer counselors, self-help support group facilitators, and peer recovery facilitators. These titles are often used interchangeably but often have different meanings in specific contexts. The certification of peer specialists is usually in response to the availability of funding from Medicaid and certification processes vary from state to state.